The Certificate in Quality Assurance is closed to new students studying with Open Polytechnic. If you wish to commence study in this field from November 2017, please consider enrolment in the Diploma in Quality Assurance (Year 1), also offered by the New Zealand Organisation for Quality. Please consult the latest NZOQ training options for courses available in 2019. 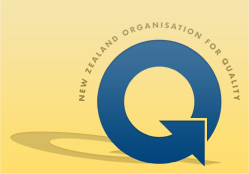 For more information, contact NZOQ National Office.